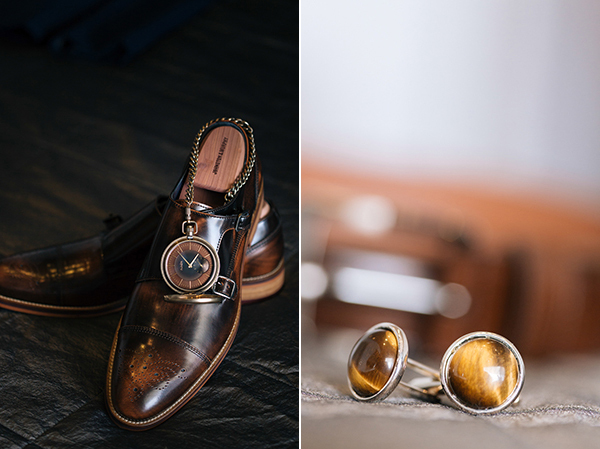 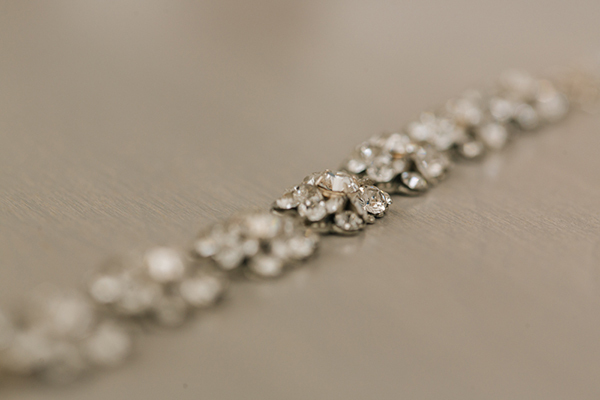 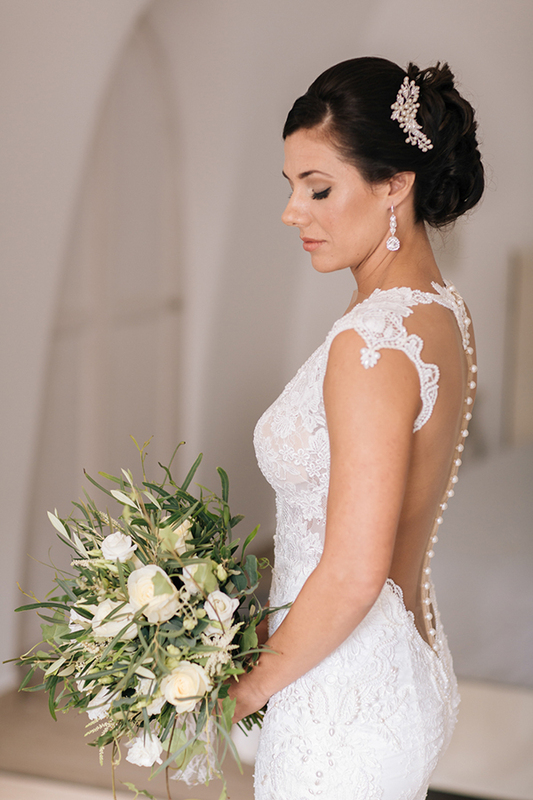 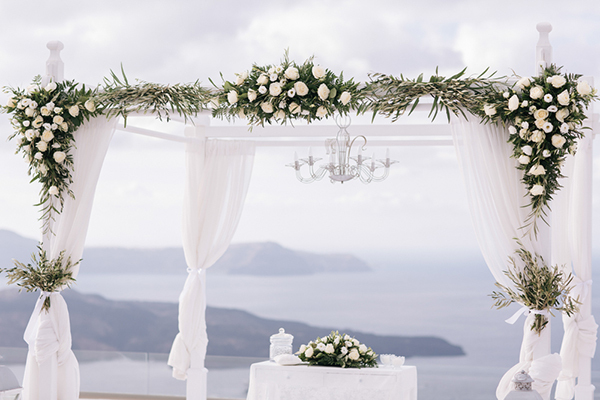 “We aimed for a very simple, traditional Grecian feel with mostly white and olive tones. 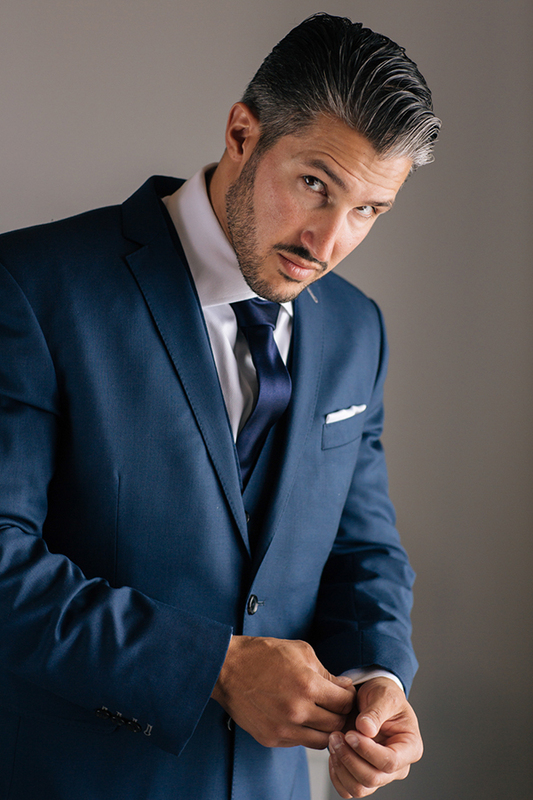 Then added slate and blue hues to the color pallet for a modern twist”. 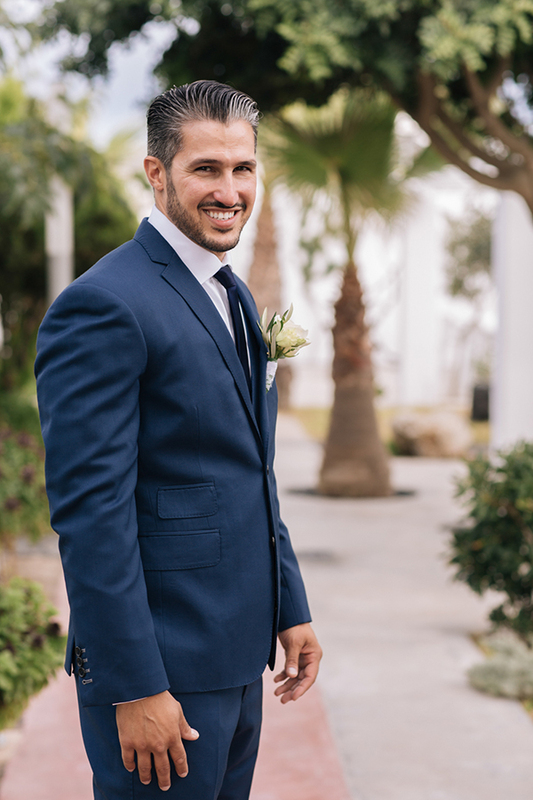 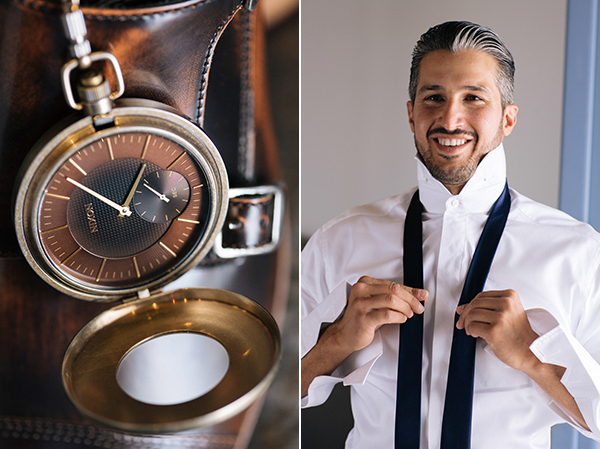 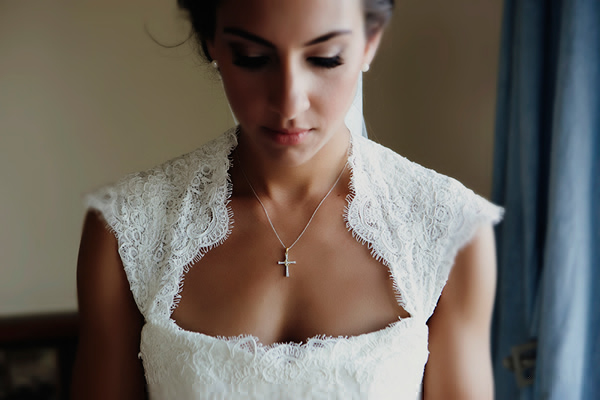 “As the groom the best moment was seeing the stunning bride for the first time in her wedding dress walking down the aisle. 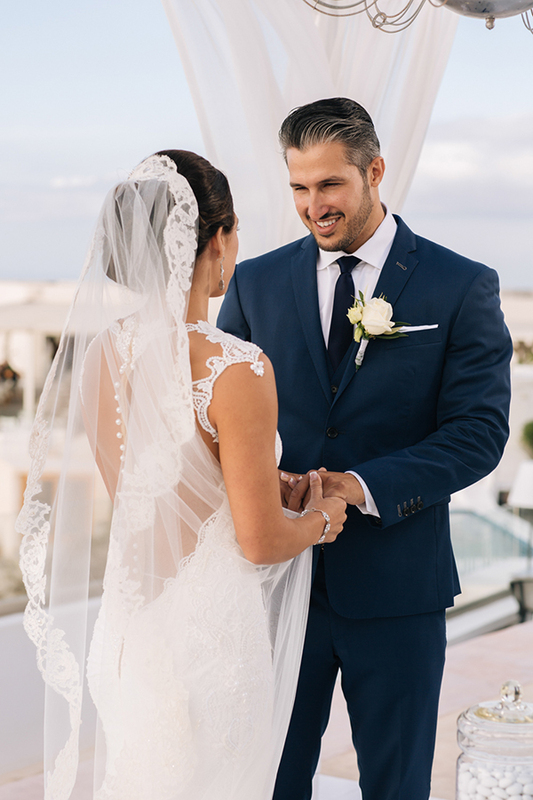 As everyone’s eyes were on the bride her eyes were only looking at me… The smile on her beautiful face is something that will forever be etched in my mind”. 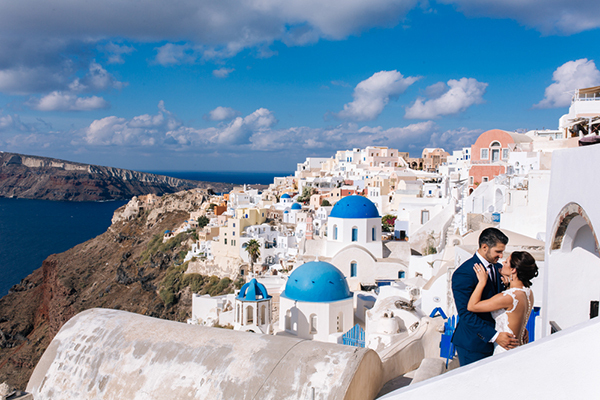 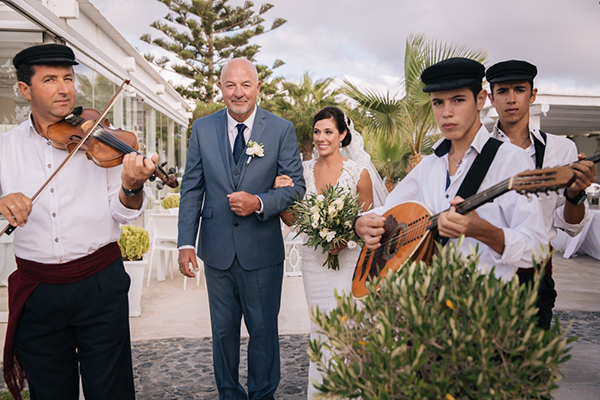 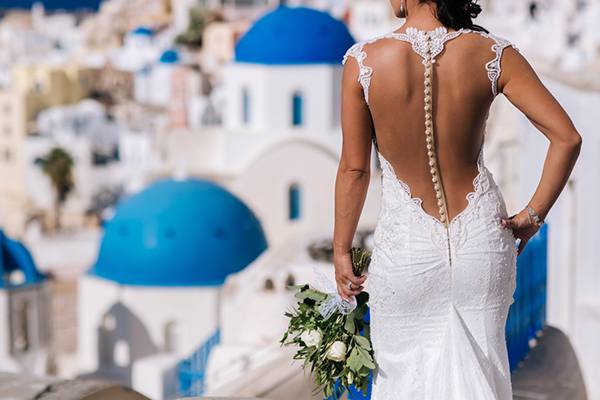 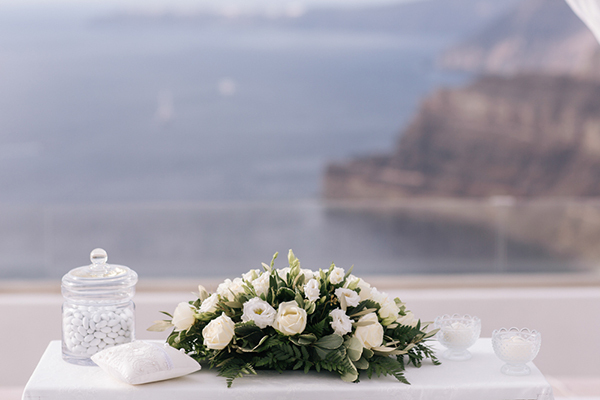 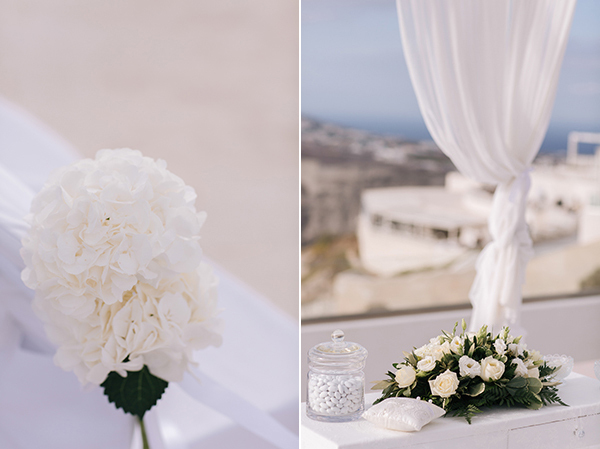 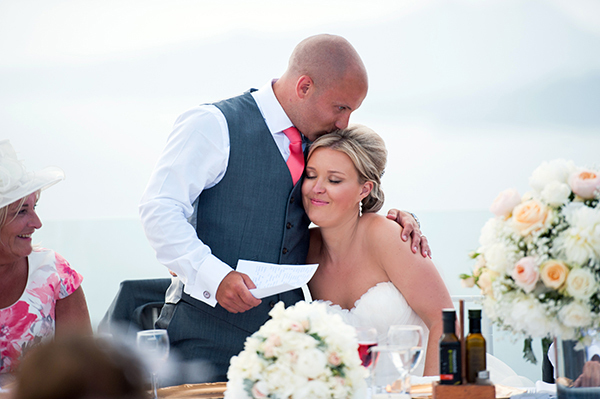 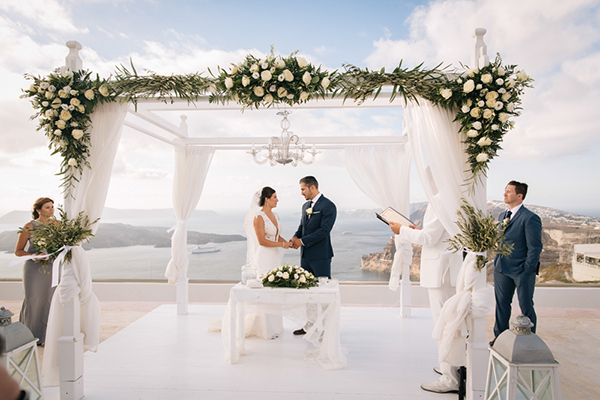 Divine Weddings Santorini are on Chic & Stylish Selected Vendors. 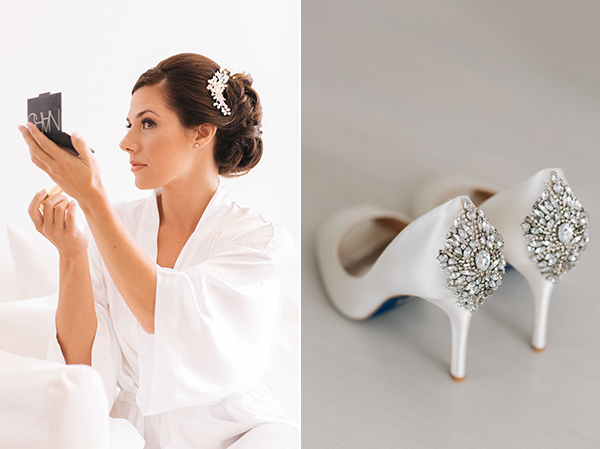 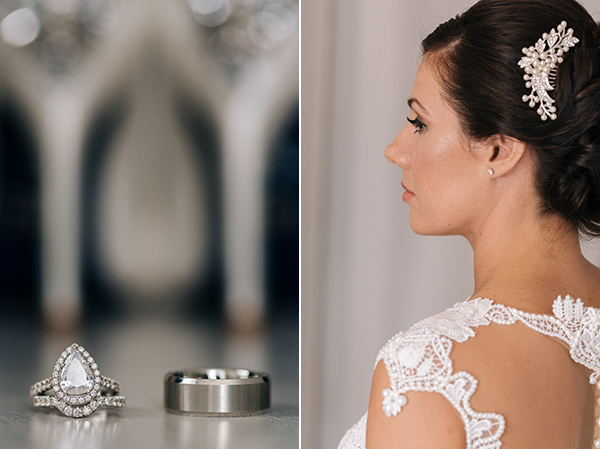 Thank you Love4wed for publishing my work! 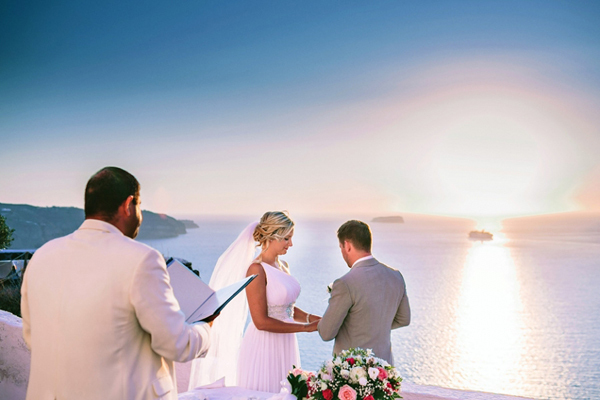 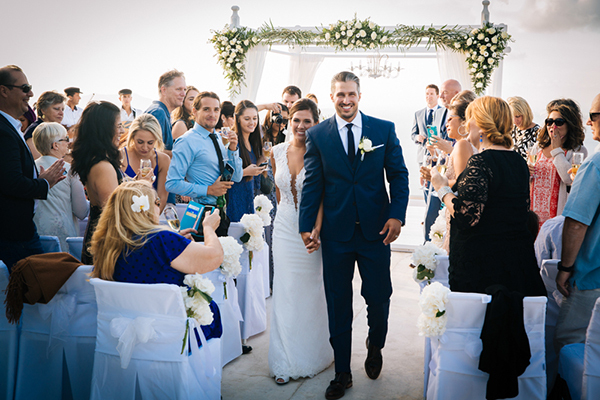 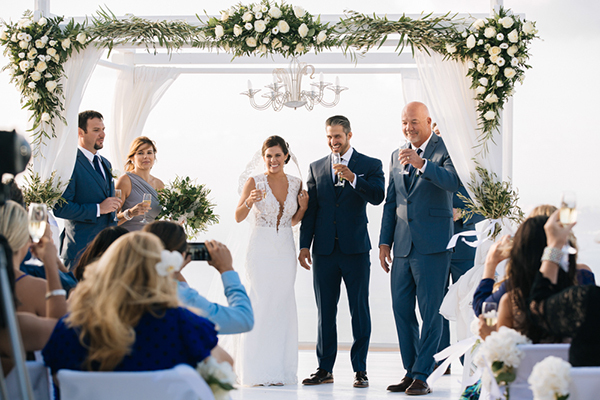 Beautiful wedding in Santorini! 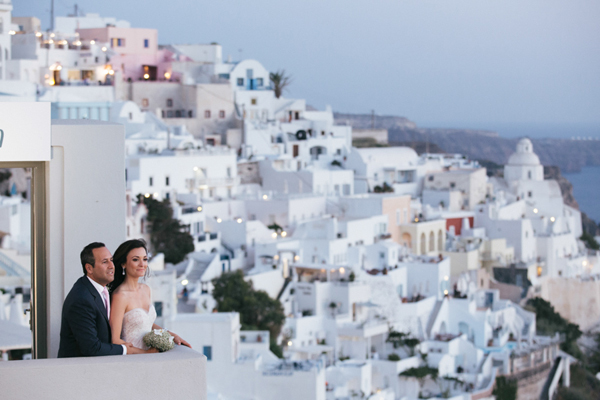 It is one of the best location for weddings! 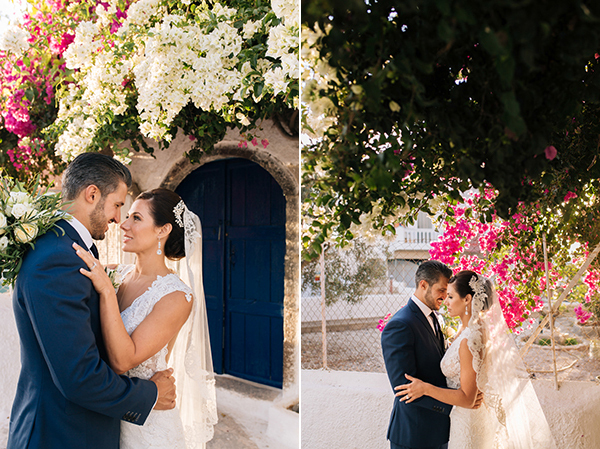 Gorgeous couple!